Caption: Travels of a mush-hound during part of 1935. 50-50; Scot-Irish; Adela-Tony. 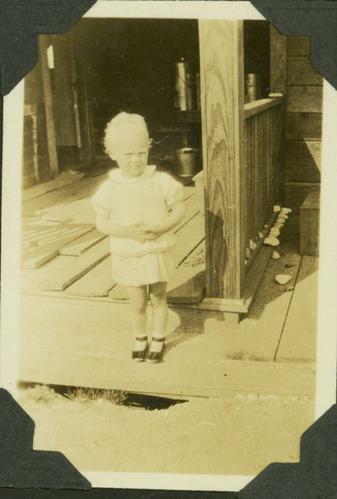 Anne Hwthorne Pateson, Durieu, B.C. Item is a photograph of a little girl standing by a veranda.